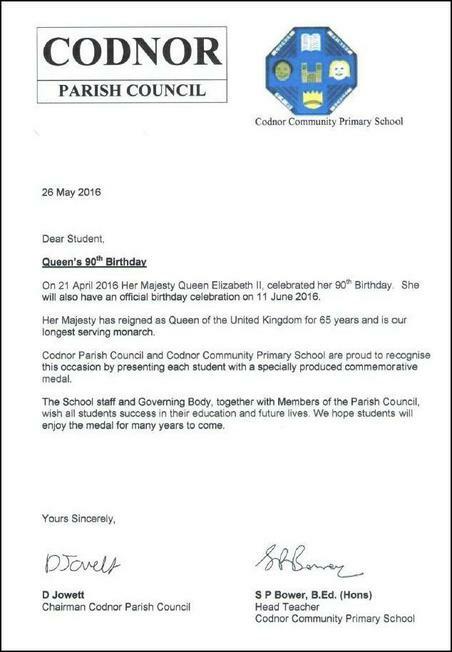 To celebrate and commemorate the 90th birthday of HRH Queen Elizabeth II, Codnor Parish Council and school presented each of our children with a specially-produced medal. Pictured below are some of our children with their medals, and a copy of the letter which accompanied it. On behalf of our children, we'd like to say thank you to Codnor Parish Council for this lovely gift - one which our children can cherish for many years to come.